Kitting provides workers all the items they need to build an item at once. As a result, time is not wasted looking for proper tools and parts needed. Furthermore, providing just-in-time kitted inventory has even more benefits. Specifically, kits reduces the chances of data error, damage, loss or pilfering. Also, kitting processes allow the warehouse to deliver parts in kit form. This eliminates many separate deliveries of individual items. Kitting helps improve a production capabilities in the manufacturing environment. How you ask? It provides the workers all the items they need to build an item at once. This eliminates the time consuming process of looking for proper parts needed to build an item. Kitting helps make the entire inventory process much easier. It allows inventory counts by counting how many kits are in stock in the warehouse. First, take how many kits there are and you know how many of each part are in each kit. Then take how many kits you have and multiply it by how many of each item are in it. From that, you will know how many of each item the warehouse has in stock. For more information on the benefits of kitting, contact Radley today. 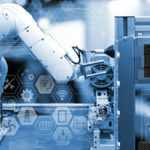 What's the Impact IIoT for Manufacturing? 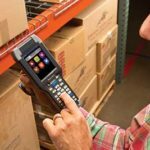 How can task management software can take your warehouse productivity to the next level?